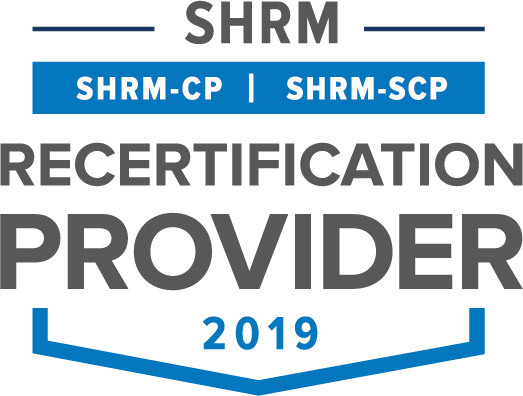 Maintaining your credential is easier than you might think, recertification requires SHRM-certified professionals to earn 60 professional development credits (PDCs) every three years. To learn more about recertification process, visit shrmcertification.org/recertify. SHRM-CP and SHRM-SCP credential-holders qualify for recertification credits by participating in professional development activities that relate to the SHRM Body of Competency and Knowledge™ (SHRM BoCK™). These categories parallel the SHRM Body of Competency and Knowledge (SHRM BoCK) three main elements of Strategic Mindset/Effective Individual Performance, Successful Business Outcomes and Advancing the HR Profession, respectively–further evidence of the relevance of these credentials to the contemporary practice of HR. Log on to portal.shrm.org and enter your e-mail address and password. For the Advance Your Education category, in the Activity ID Number field (if one is provided) input the Activity ID, click "Search," and view the populated activity details. Confirm that this information is correct. Click "Submit" (only once) to save the PDCs in your Portal. If an Activity ID is not provided, or for PDCs that fall under the Advance Your Organization or Advance Your Profession categories, manually input the information requested. After you've earned all 60 PDCs and are ready to submit your application, click on "Apply for Recertification." This link will be visible one year into your recertification period. Exclusive mobile app for SHRM-CP and SHRM-SCP credential-holders. PLEASE NOTE: It is recommended that all professional development activities be logged in the SHRM Certification Portal upon completion. Please track all professional development activities during your 3-year recertifi cation period, even those beyond the required 60 PDCs or a category maximum.